Our 10000 square foot warehouse is packed full of chimney flue systems. We keep large stocks of vitreous enamel stove pipe, single wall grade 316 pipe, and twin wall insulated chimney on the shelf, ready for immediate shipping or collection. 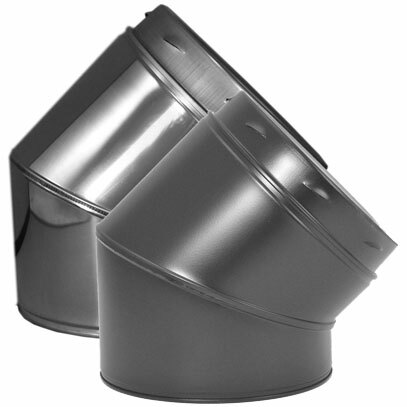 We offer two ranges of twin wall insulated flue, Negarra MD Plus, and Sflue. 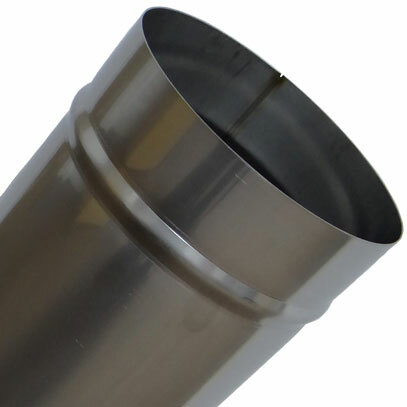 Sflue is available in the standard stainless finish or painted black. 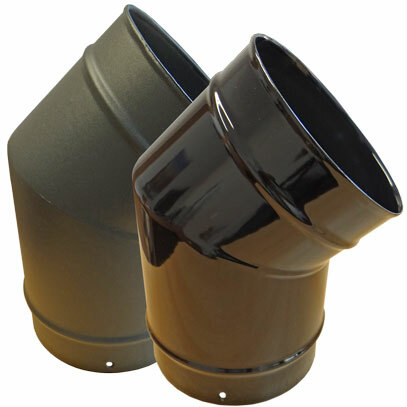 We also offer two ranges of vitreous enamelled stove pipe from stock, one from Midtherm and one from Negarra. Twin Wall Insulated Chimney System. 125mm id to 200mm id. 125mm (5") and 150mm (6") Diameters. Matt Black and Gloss Black. 100mm (4 inch) to 200mm (8 inch) Diameters.